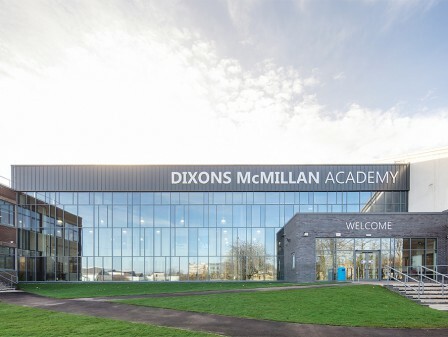 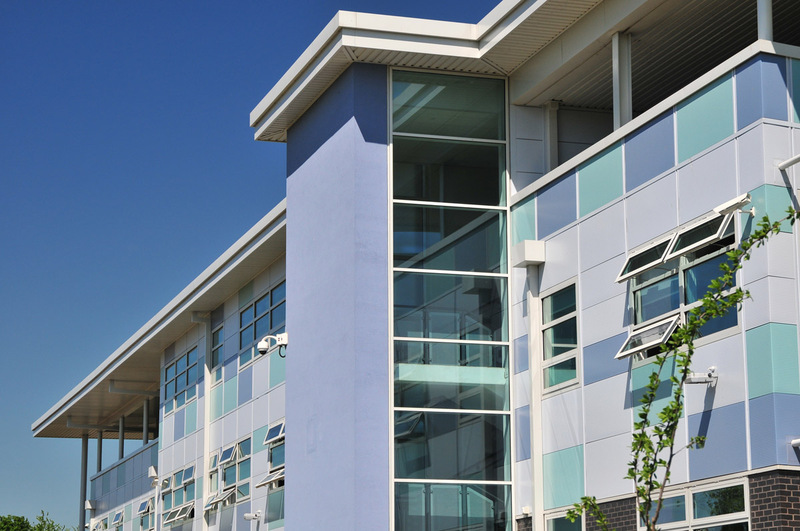 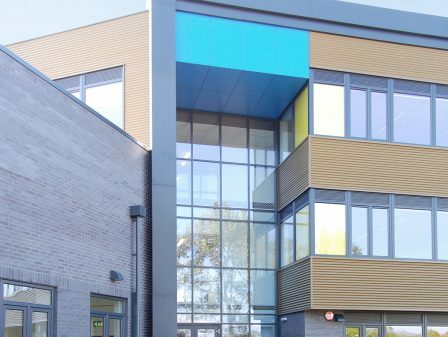 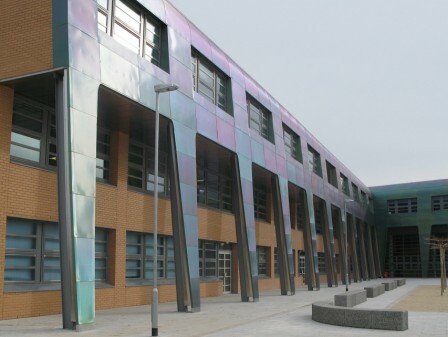 Located on the urban fringe of Goldthorpe, The Dearne Advanced Learning Centre (ALC) is a state-of-the-art, 1,200-place school for 11-16-year-olds. 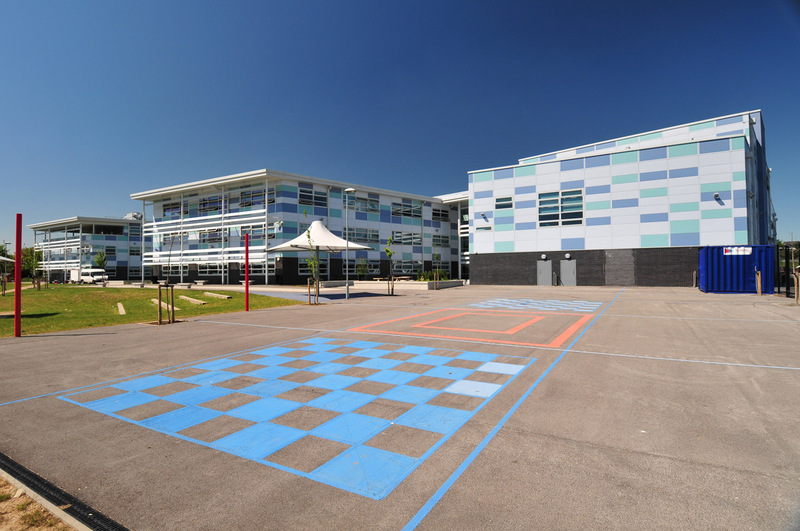 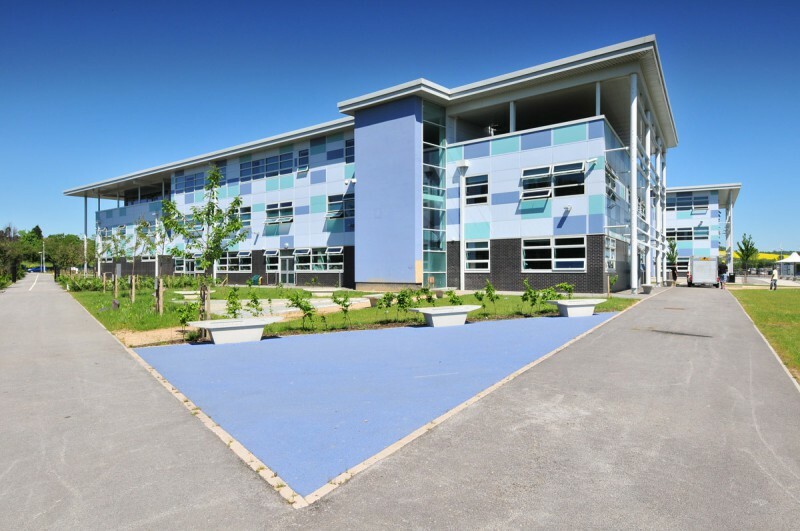 It’s part of Barnsley’s Building Schools for the Future (BSF) programme, which will see the local authority’s entire secondary school estate benefit from a £1billion investment. 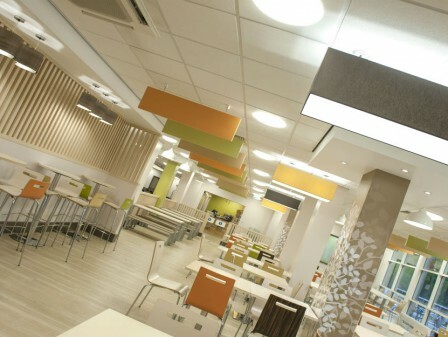 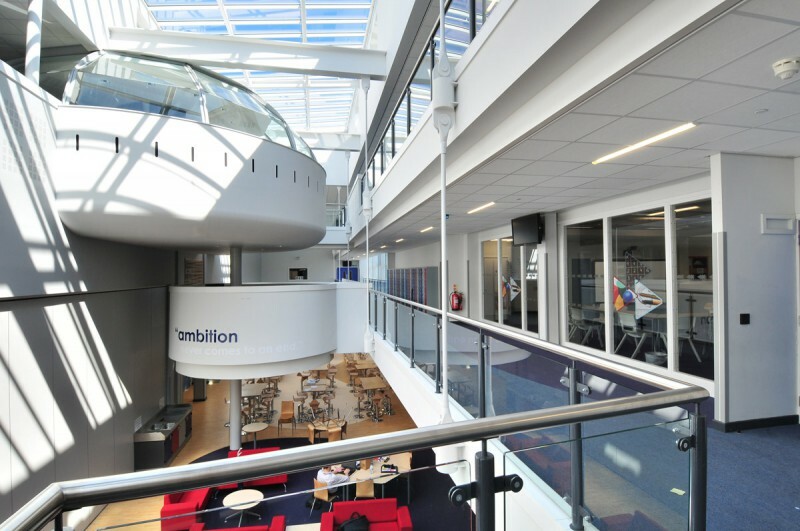 As well as the main academic areas, the new ALC building incorporates a suite of administration and learning support spaces, specialist curriculum areas and external leisure and sports facilities. 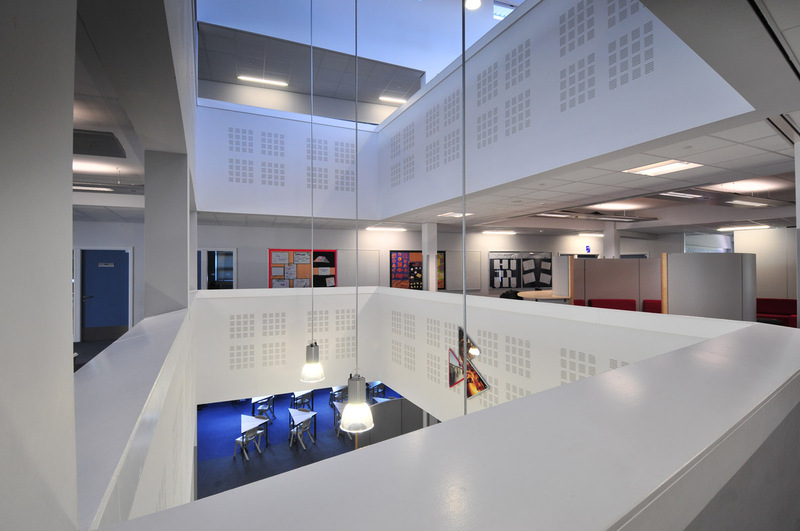 The internal layout provides social learning spaces that flex and adapt. 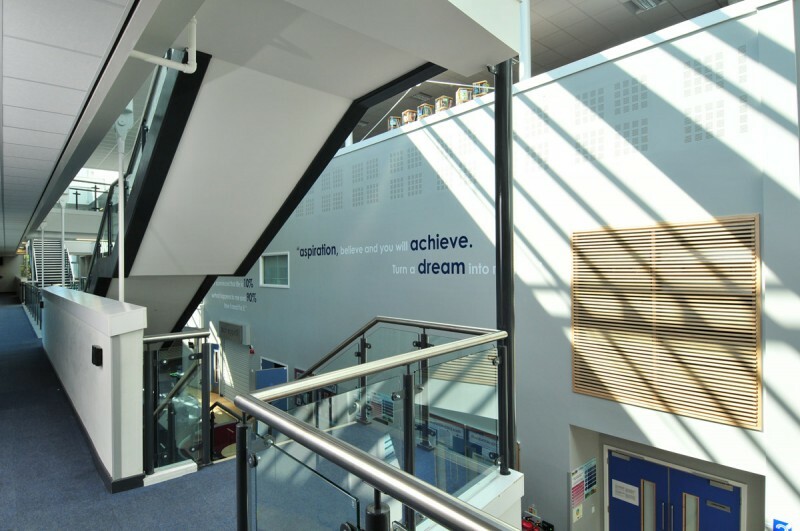 Working in close collaboration with the school and local authority on the bid submission, design development and production information, we were deeply involved in this model school project, right up to the final delivery. 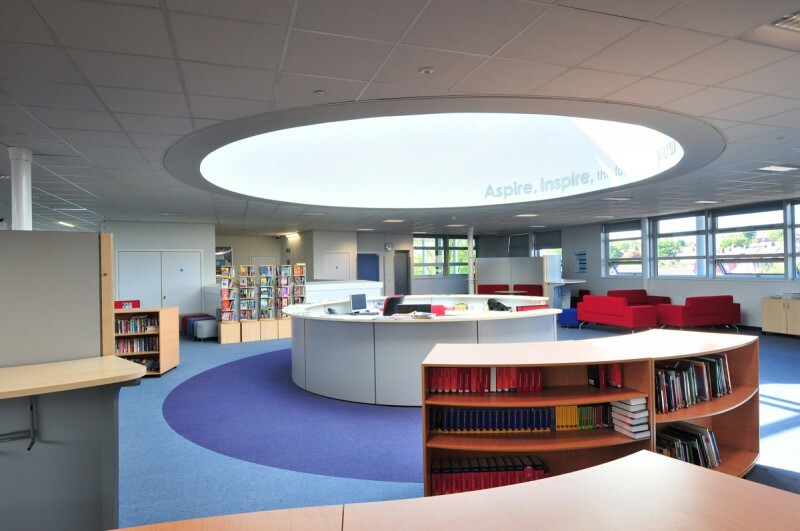 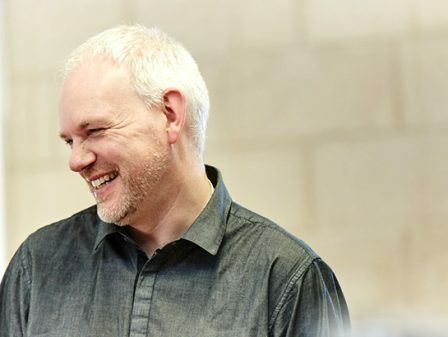 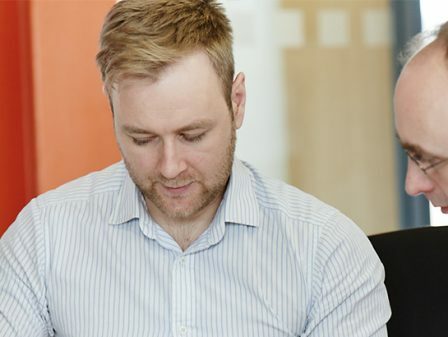 Our design solution allows for the delivery of a modern personalised learning curriculum within a flexible environment. 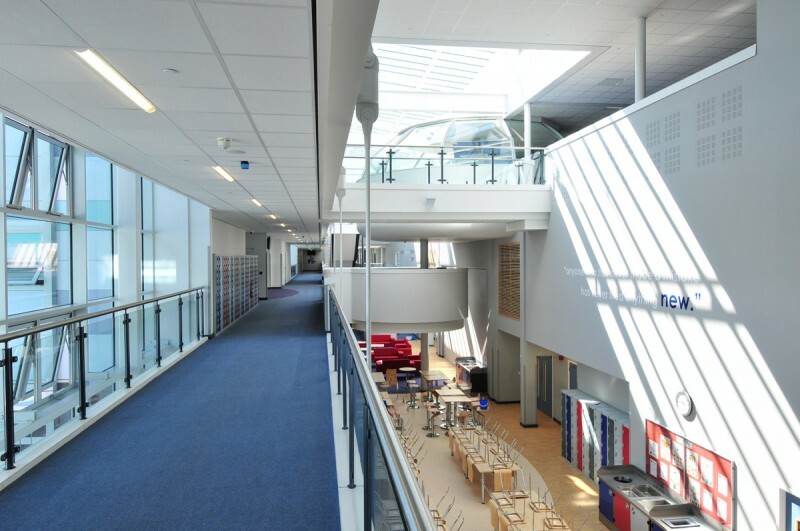 The internal layout provides social learning spaces that flex and adapt to different learning styles. A large, central ‘heart’ space is the key to the building’s design and function. 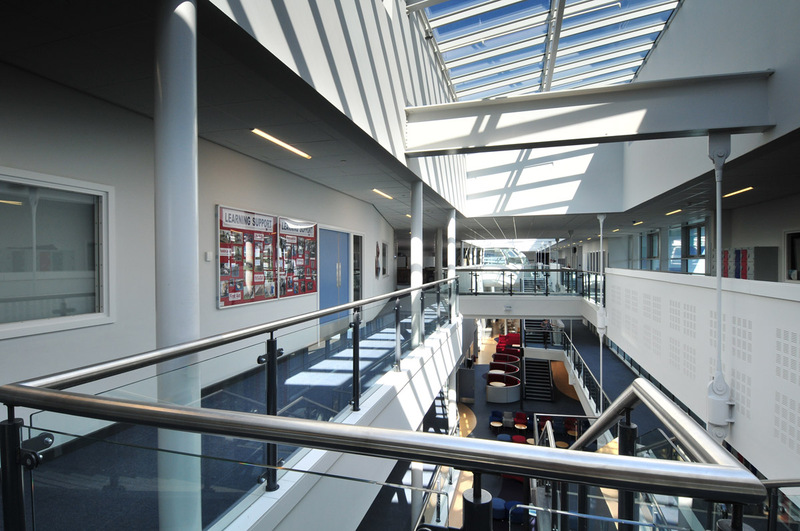 It provides versatile performance and audience areas and allows views and access to all parts of the building through a light and open, multi-functional space. 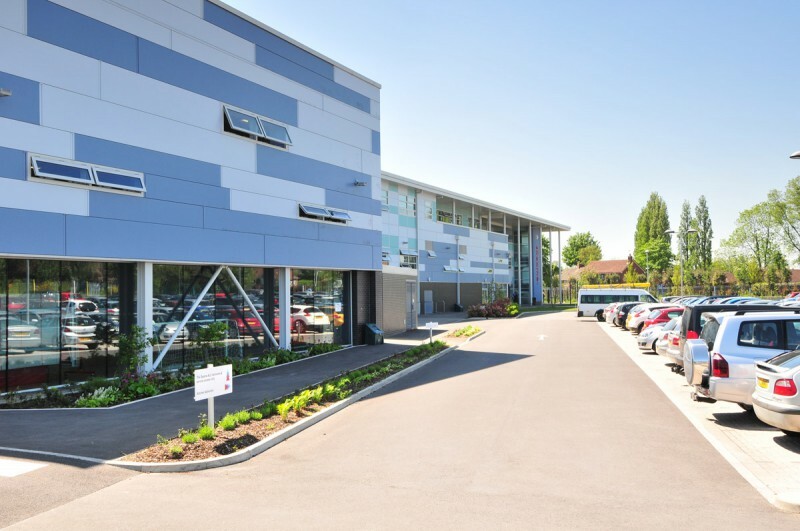 Through the use of biomass boilers, wind turbines and by maximising the use of natural light and ventilation, the scheme has achieved the BREEAM rating ‘Very Good’.